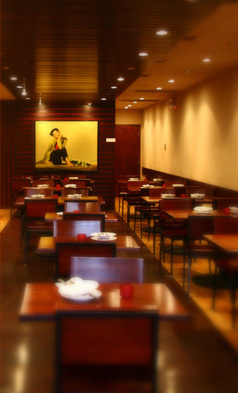 Hai Yen Restaurant welcomes you to experience the essence of Vietnam in Chicago. From our famous Bo La Lot (marinated ground beef wrapped in a Hawaiian leaf then grilled), to the very traditional beef noodle soup (Pho), or exotic salads such as the Lotus Root Salad, to our fresh tapioca fruit drinks, we have everything to please anyone's palate. Vietnamese food is an infusion of French and Chinese cuisine. Vietnamese food is incredibly healthy and is known as the cuisine of the dipping sauces. We use a lot of fresh vegetables and herbs, mainly for wrapping with different types of meat in a very thin, delicate rice paper with a dipping sauce on the side. At our restaurant, we allow you to join in on the fun of cooking Vietnamese food by letting you cook the food right at your own table with a fondue pot, soup pot or a grill! So stop by and create your own experience of Vietnam.